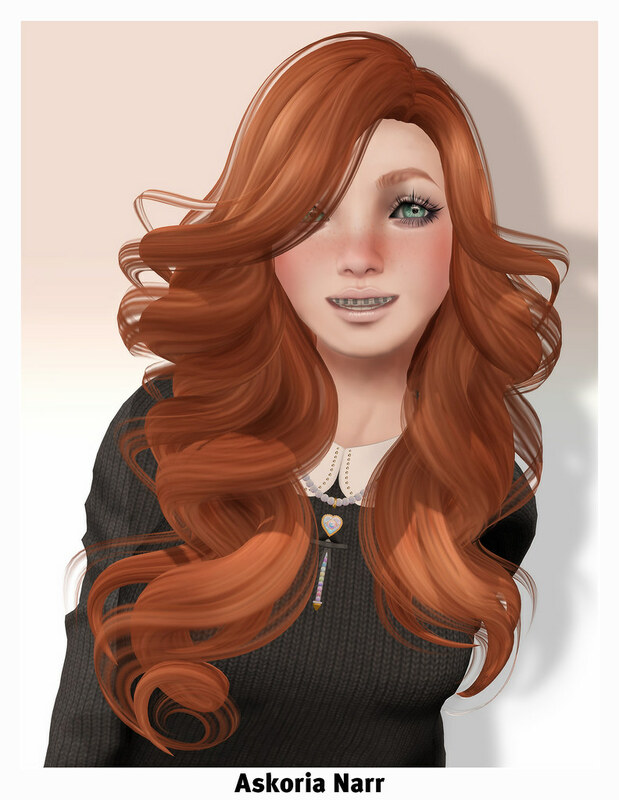 I decided to participate in the first one which is called the Second Life Yearbook Smile Challenge! because i think it is a quiet funny idea to make yearbook pictures from our avatars. So my styling is pretty simple since i wore mostly black while i was in school because i always tried to get as less attention from others as possible. I tweaked my shape for this post since it looked weird with my normal face parameters so i changed a bit on the mouth and eyes. The expression i used for this picture is the embarressed emotion from the Anypose Expression Hud. My pose is a Modelpose from R.icielli which i bought in a hugh pack when i started blogging. If you want you can share the link to your post in the comments below or also in the comments on Strawberrys Blog who started this cool challenge for us. Have fun with all the pictures that already could be seen in the flickr group. I hope all of you had such a nice weekend as i had so far. I’ve spend the last days with my family why i didn’t find the time to blog for you. So today i bring you this look which features again some news from the Manga Fair. My maiden headpice is the exclusive from Pantsu*Hunter for the Fair and it is just lovely it comes with a hud that allows you to change the frill and horn colors. The Dress i’m wearing is Epics exclusive for Manga Fair and it has this cute bow with a moving gear and some cute kokeshi heads on the upper part.